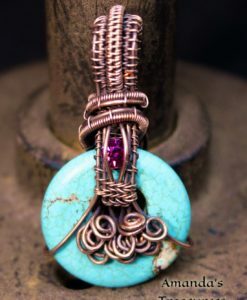 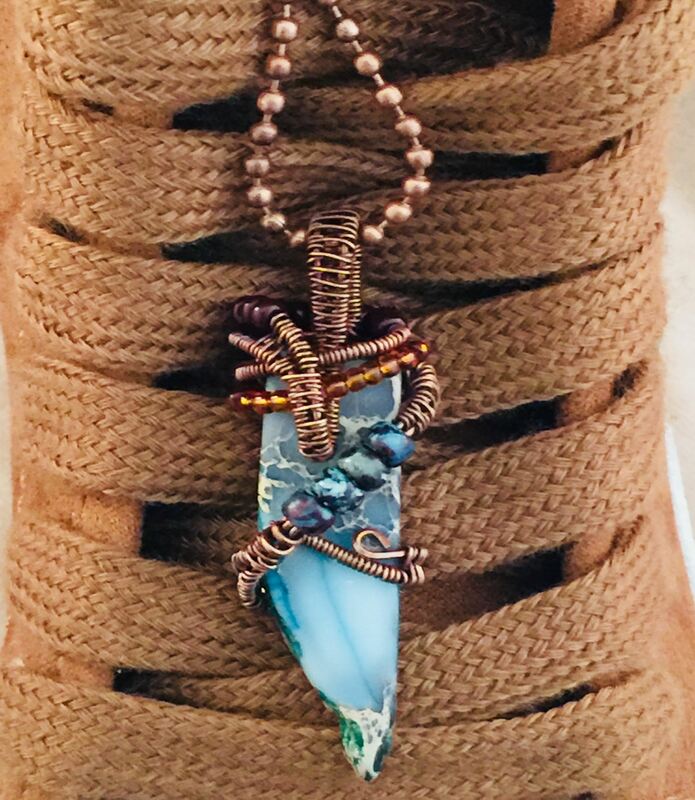 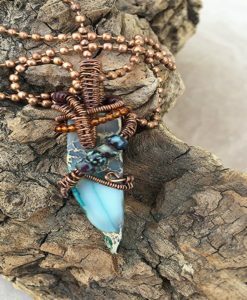 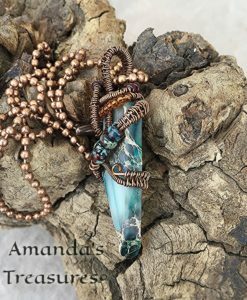 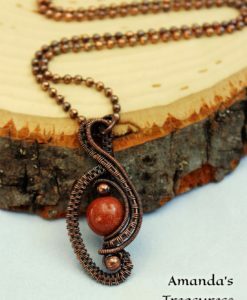 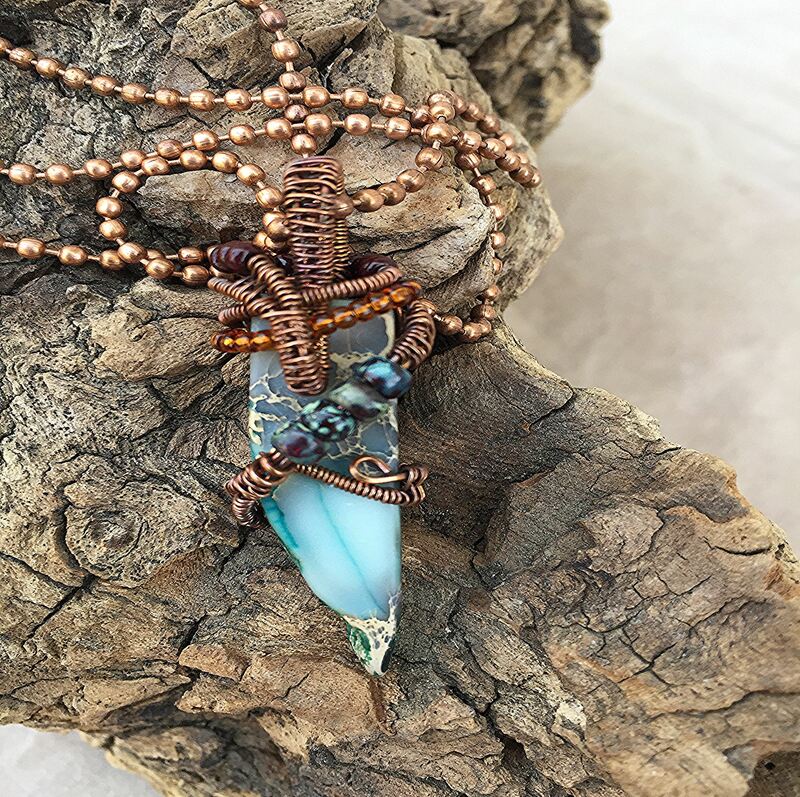 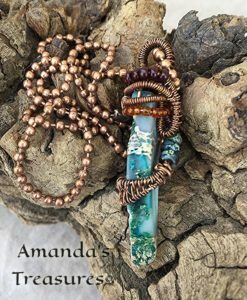 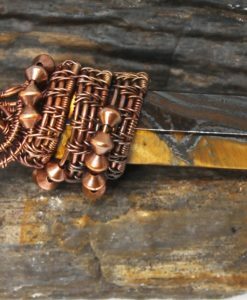 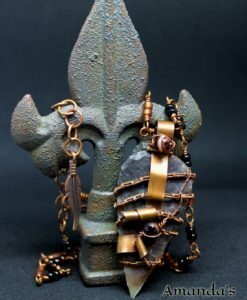 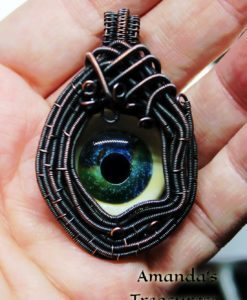 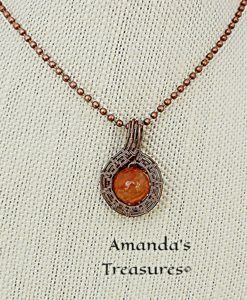 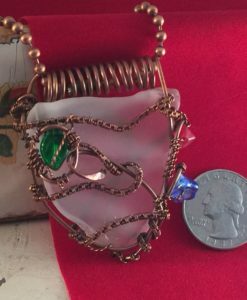 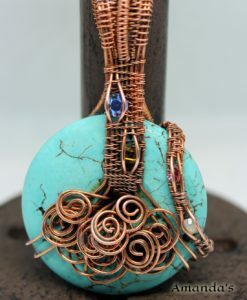 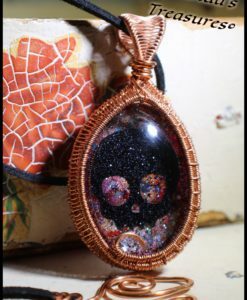 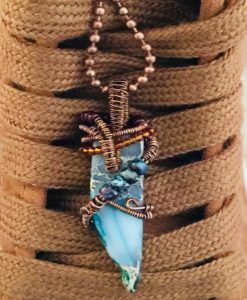 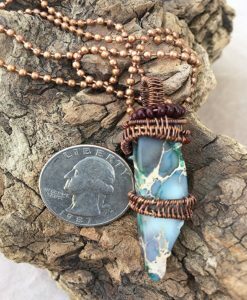 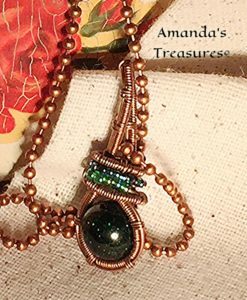 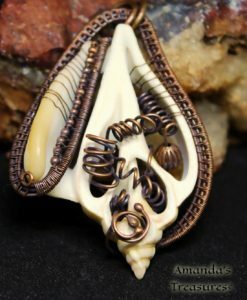 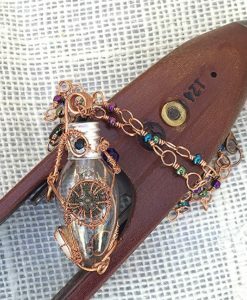 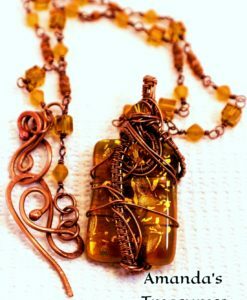 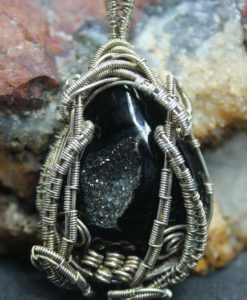 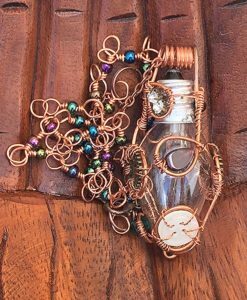 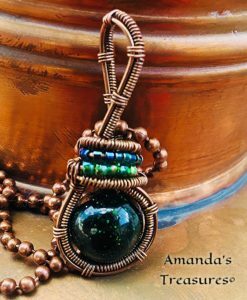 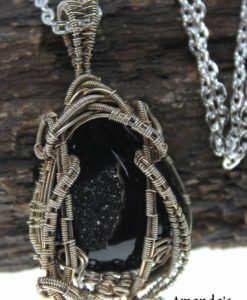 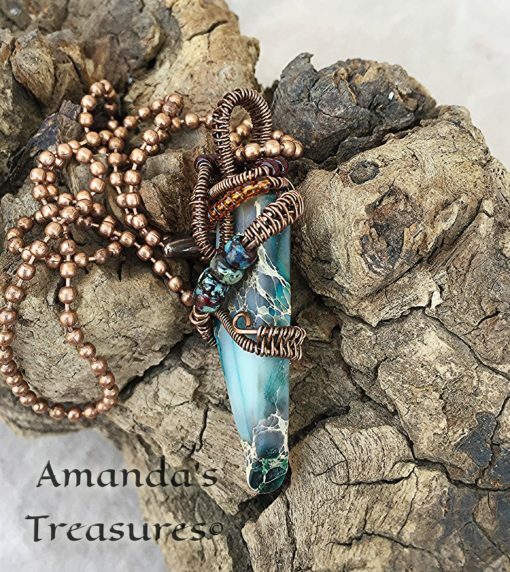 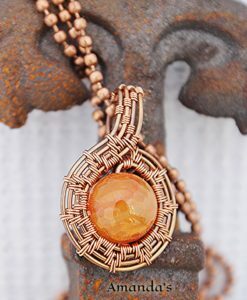 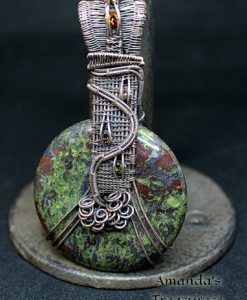 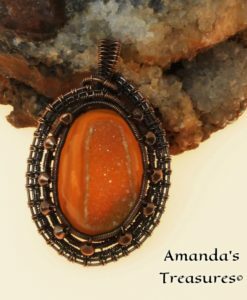 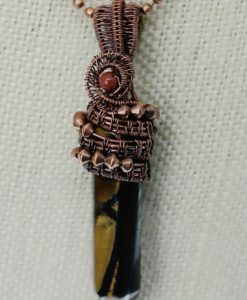 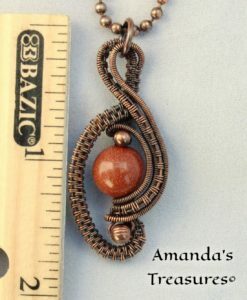 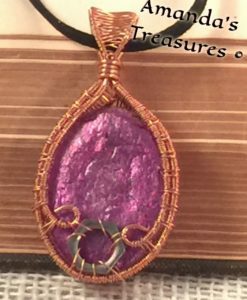 Blue Jasper shard copper wire wrapped necklace has accent beads in amber, maroon and smoky topaz. 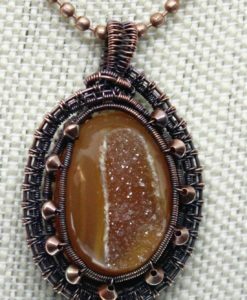 Jasper is found the world over, most come from India and Australia. 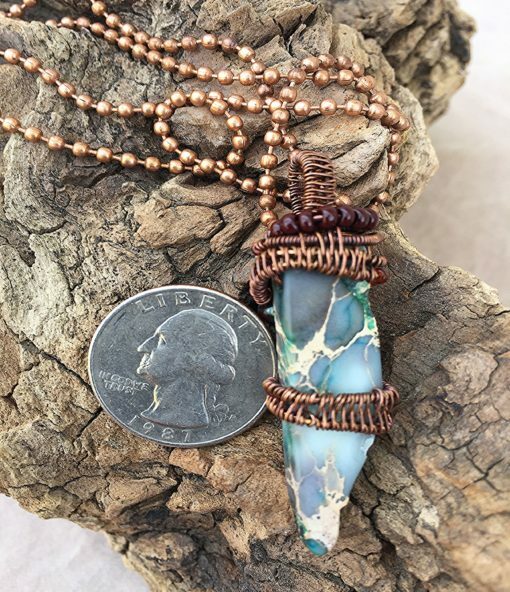 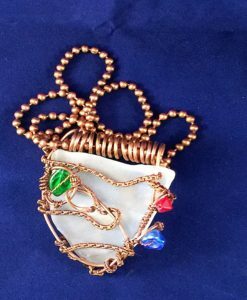 In some cultures, particularly Native American, Jasper is commonly used for rainmaking. 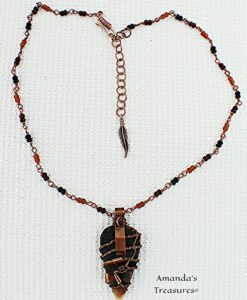 Jasper is said to balance yin/yang energies and to be helpful in many areas of life such as healing, peace, and ease. Hand wrapped with love and dedication by Amanda’s Treasures.